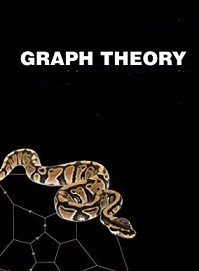 This comprehensive text covers the important elementary topics of graph theory and its applications. In addition, he presents a large variety of proofs designed to strengthen mathematical techniques and offers challenging opportunities to have fun with mathematics. It utilizes a java software, Petersen, written by Christopher P. Mawata which can draw, edit and manipulate simple graphs, examine properties of the graphs, and demonstrate them using computer animation. The software can display information about a graph like the number of vertices and their degrees, the adjacency matrix, the number of components, and articulation points. It can find complements of graphs, line graphs, find the chromatic number of a graph, check if a graph is bipartite, check if two graphs are isomorphic or if one graph is a subgraph of another and find the dual graph of a planar graph in many cases. Petersen also demonstrates Euler and Hamilton circuits, searches, and algorithms for finding minimum spanning trees.